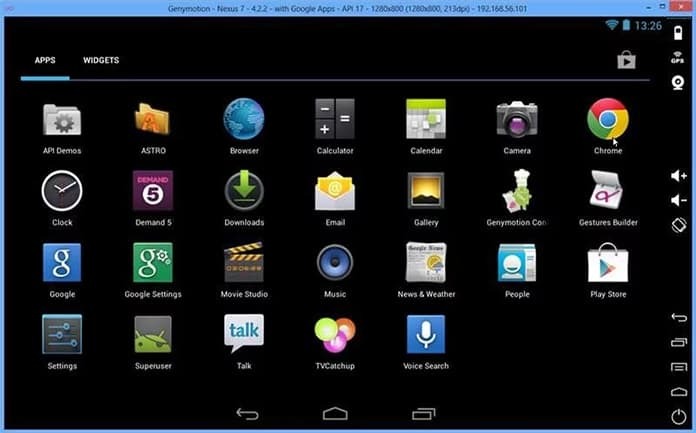 Android emulator is an app that can be used to run Android apps on a PC. In other words, you can play games and use mobile applications on your computer just like you do on your mobile. These emulators are very helpful as they provide more fun and entertainment on bigger screen. Most of the Android games are amazing but the only problem with them is the small screen of mobile. You cannot enjoy a game on a 5-inch mobile screen. To overcome this problem, you could use an Android emulator to play games on a bigger screen. Just like this, you can run different applications on your PC. For that purpose, we will show you the best Android emulators for PC with Windows 10, 8 or Windows 7 installed. Suppose you are chatting with your friends in WhatsApp group and you are not comfortable with your phone anymore. Now you can use an Android emulator to use WhatsApp, Instagram or Snapchat on your PC. It would surely be a better experience. 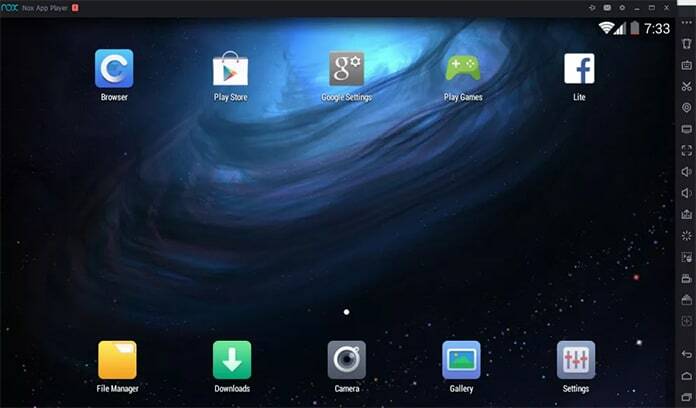 You will find a lot of android emulators on the internet. But the problem is you will have to find the right emulator for your device. 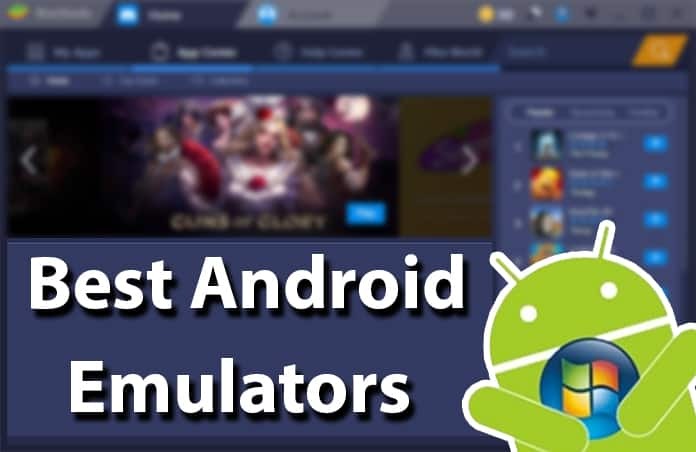 Today, we will present you some names of the best Android emulators available on the internet. Now have a look at the best Android emulators for PC running Windows 10, 8 or 7. BlueStacks is one of the most popular Android emulators for PC. It is also the top android emulator for your computer system. You can easily download it for free from the official website of BlueStacks. It is simple, fast and easy to understand. 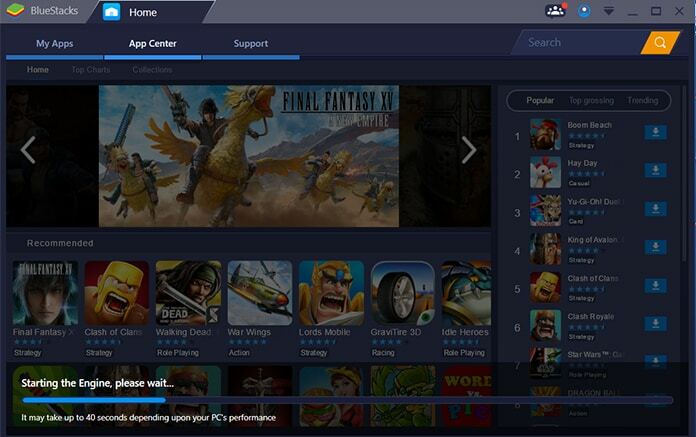 All you need is downloading the latest version of BlueStacks from its website. Now just run it and connect your Android device to it. Now you can run any app directly from your computer system. You can also play games without any problems. Another great thing about BlueStacks is you can install apks on your device. Another good android emulator on the internet is Nox App Player. It has some amazing features that you can use to play games and to run apps on your PC. Nox App Player provides you some awesome features like you can enable or disable root on your phone. You can also specify the CPU processor, RAM size and you can use keyboard mapping for touch input. Another significant aspect of Nox App Player is it provides GPS settings so that you would be able to play GPS related games on your phone like Pokémon Go. 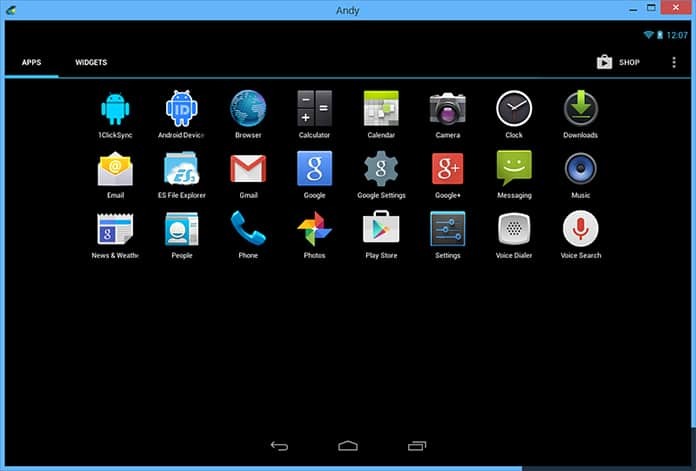 Andyroid is another Android emulator for PC. You will get a lot of features by installing this emulator. The most prominent feature of Andyroid is it provides remote access to your mobile phone. It means you can play your games from a mobile phone using a remote access feature. In this feature, you will use your phone as a remote which is a very unusual and amazing feature. You can also add games on your Andyroid emulator by installing them directly on your system. KoPlayer is another powerful Android emulator. This emulator lets you use all kinds of apps and video games from the tablets’ and smartphones’ operating system, directly from your PC. With this emulator, you don’t need to configure anything, all you need is to install it and open the emulator. When you open the emulator for the first time everything will be ready to use and you can start downloading apps, play video games, browse the internet from the emulator, etc. 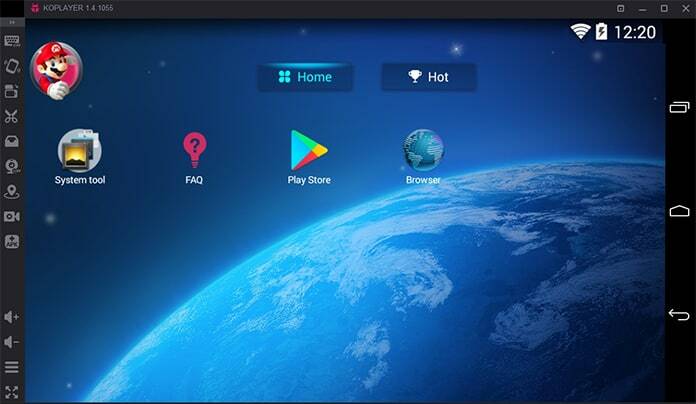 GenyMotion is one of the best Android Emulator for PC. This emulator may be classified as a worthy alternative to Bluestacks emulator. GenyMotion has hardware acceleration support and advanced features like OpenGL. All you need to do is to install GenyMotion on your Laptop or PC and configure Android device on it. If you are looking for an app that could help you to run your Android apps on PC, you need an android emulator. There are hundreds of emulators available on the internet. Select any from our list of the best Android emulators for PC and install it.